The sound of cracking open an ice-cold can of Fanta on a summer’s day. The particular crunch of a Greggs sausage roll. The thick stickiness of doughnut icing on your fingers. How often do you stop to notice the joyous sensation of the food we’ve been told is forbidden? How regularly do you let yourself scoff something delicious, simply because your body is craving it? Ruby Tandoh, former Great British Bake-Off finalist and food writer, wants us all to stop and smell the bubbling mozzarella draped over a pizza. 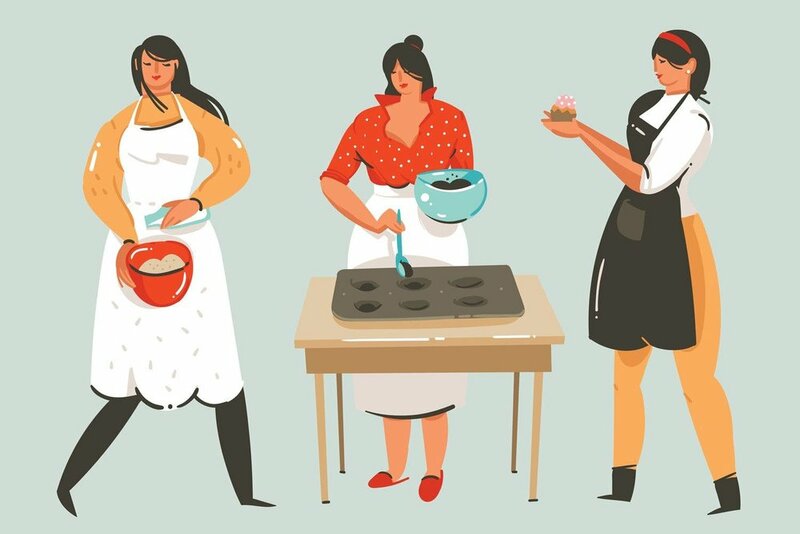 In her new book, Eat Up, Tandoh encourages us to stop thinking of food as ‘good’ or ‘bad’, ditch the kale worship and rediscover what it is to eat what you want, when you want it. It is, quite frankly, a revolutionary manifesto on the joy of food – and it couldn’t have come at a better time. We are in an age of profound anxiety around food and, while there is some recent backlash to the clean eating fad, we are not quite clear of its influence yet. The hashtag #cleaneating was used on Instagram 31 million times in 2017 alone. We are at a crucial moment in history when food is more about purity and morality, than it is enjoyment or nourishment (I Spiralize, Therefore I Am).